We’ve tried this before. Over the past century or so, there have been no fewer than five attempts to bring the various ethnic Orthodox jurisdictions in America into some measure of administrative unity. Next week, from May 26-28, we embark upon a sixth effort — an effort which, compared to its predecessors, seems remarkably promising. First, of course, there were the Russians. In the early 20th century, the Russian Archdiocese envisioned itself as the platform for Orthodox unity in America. Its sainted archbishop, Tikhon Bellavin, articulated an innovative vision to deal with the unprecedented diversity of ethnic Orthodox Christians in the New World. He proposed that the Russian Archdiocese be organized, not along territorial lines, but according to ethnicity — a bishop for the Russians, another for the Syrians, another for the Serbs, still another for the Greeks. St. Tikhon realized that the different ethnic groups needed their own ethnic hierarchs, and his first step in implementing this plan was to consecrate St. Raphael Hawaweeny as bishop for the Syrians. Separate, overlapping administrative units were created for the Serbs, and later for other groups (e.g. the Albanians), but St. Tikhon’s overall plan was never fully enacted. The tenuous unity that existed among the Russians, Serbs, and Syrians soon fell apart, and by 1920, any notion of American Orthodox unity under the Russians was dead. Dead, but not forgotten. When St. Raphael, the Syrian bishop, died in 1915, he left no obvious successor. His flock divided into warring camps, one party favoring continued subordination to the Church of Russia, the other submission to the Patriarchate of Antioch. Eventually, the Russian Archdiocese consecrated Aftimios Ofiesh to be St. Raphael’s replacement. And, whatever else one might say of Archbishop Aftimios, he was nothing if not a visionary. In 1926, he proposed the idea of an autocephalous jurisdiction, the “American Orthodox Catholic Church,” which would transcend ethnicity and embrace all the Orthodox in America. The Russian Metropolia — successor to the Russian Archdiocese, and predecessor to the OCA — granted Archbishop Aftimios his wish in 1927. 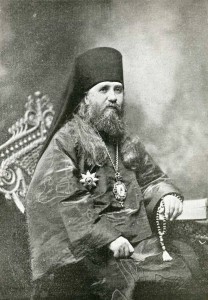 Archbishop Aftimios went around acting like he was the head of an autocephalous Church, but few paid any attention to him, and even the Russian Metropolia soon withdrew its support. As hopeful an idea as the AOCC might have been, it never had any real chance of uniting all the Orthodox in America. Archbishop Aftimios effectively destroyed his already fringe jurisdiction in 1933, when he married a girl young enough to be his daughter. But two of his top assistants, the convert priests Michael Gelsinger and Boris Burden, continued to dream of a united American Orthodox Church. They spearheaded a 1943 effort that resulted in the “Federation,” which was to SCOBA what the League of Nations was to the UN. The Federation included the primary Orthodox jurisdictions in America (Greek, New York Antiochian, and Moscow Patriarchal, along with Serbian, Ukrainian, and Carpatho-Russian), with the glaring exceptions of the Russian Metropolia and ROCOR. In its short life — measured in months, as opposed to years — the Federation achieved some modest but still significant accomplishments. It managed to get Orthodoxy recognized by the Selective Service, exempting Orthodox priests from military service and allowing Orthodox Christians in the military to put “Eastern Orthodox” on their dog tags. Just as significantly, the Federation led to the legal incorporation of several jurisdictions. My own Antiochian Archdiocese is still governed by that legislation, from the 1940s. In the end, though, the Federation fell apart. There were probably dozens of reasons for the failure, but, in my view, the biggest was simply that the bishops involved in the Federation weren’t committed enough to its success. Well, most of them. One man who was deeply committed to the vision of the Federation was the Antiochian Metropolitan Antony Bashir. He kept the Federation going, on paper only, through the whole of the 1950s. In 1960, the Federation was reborn as SCOBA, the Standing Conference of the Canonical Orthodox Bishops in the Americas. The “big three” jurisdictions — Greek, Antiochian, and Russian Metropolia — were led by three larger-than-life figures, Archbishop Iakovos Koukouzis, Metropolitan Antony Bashir, and Metropolitan Leonty Turkevich. Among many, the unification of all the American Orthodox jurisdictions seemed imminent. A decade later, though, there was still no administrative unity. The Russian Metropolia had entered into talks with the Moscow Patriarchate, and in April of 1970, Moscow issued a Tomos, granting autocephaly to its formerly estranged American daughter. The Metropolia became the “Orthodox Church in America” — the OCA, and in the words of an official brochure published at the time, “invite[d] all of the national Orthodox church ‘jurisdictions’ in America to join with it in unity.” This marked the fifth major attempt to unify the various jurisdictions. Today, of course, there is still no administrative unity. 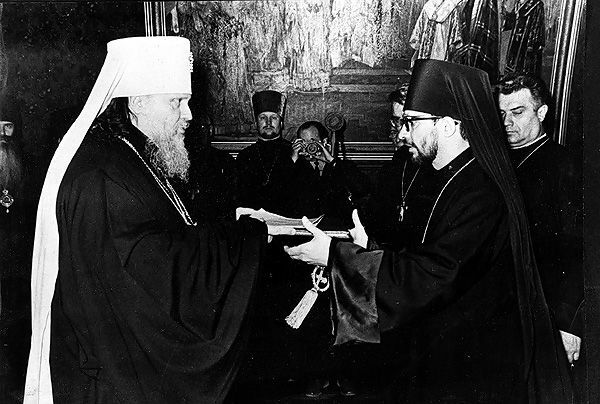 Five decades have passed since SCOBA was created, and four since the Patriarchate of Moscow granted autocephaly to the OCA. SCOBA has been useful — it has fostered cooperation, if not actual administrative unity, and its many agencies are doing great work. For its part, the OCA did bring in Romanian, Albanian, and Bulgarian jurisdictions, although in every case the OCA group has a non-OCA counterpart jurisdiction. I think it’s safe to say that, despite the best efforts of many great people, neither SCOBA nor the OCA will be the platform for future administrative unity. Before we get to Attempt No. 6, we should ask — why did all five past attempts at unity fail? Why could neither the Russian Archdiocese, nor the American Orthodox Catholic Church, nor the Federation, nor SCOBA, nor the OCA, succeed in bringing all the jurisdictions together into a single ecclesiastical entity? The answers, of course, are many and complex, but several common threads are apparent. The Russian Archdiocese, the AOCC, and the OCA were all unilateral efforts, led by a single group which tried to get the others to join it. 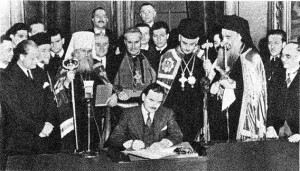 The Federation and SCOBA were “pan-Orthodox” endeavors, but the leaders lacked a common vision, and, worse, the support of their “Mother Churches.” Yes, the Mother Churches may have granted permission for their American jurisdictions to join SCOBA, but they certainly didn’t share a vision of administrative unity in America. There are two really big lessons from all these failures: you can’t have unity without getting broad-based support at home, here in North America, and you can’t have unity without the explicit support of the Mother Churches. Never, in the history of Orthodoxy in America, has an attempt at administrative unity had both of these necessities. Until now. The Episcopal Assembly, which holds its first meeting this coming week, includes every single Orthodox bishop in America — every one. No jurisdictions are left out. And the Episcopal Assembly not only has the blessing of the Mother Churches; it was actually mandated by the Mother Churches. It wasn’t “our” idea, over here, like the Federation and SCOBA were. The Episcopal Assembly was created by the Mother Churches themselves, who essentially told us, “Get your house in order.” And the end goal is clear and explicit: “The preparation of a plan to organize the Orthodox of the Region on a canonical basis.” (Article 5:1:e of the Rules of Operation) This is not just SCOBA Part II. For the first time in history, the Mother Churches are, openly and in unison, calling for us to unite administratively. There is no guarantee that the Episcopal Assembly will succeed, and if it does, it’s not clear whether that will be in 5 years or 15. But one thing, to me, is certain: all of us — all who share a desire for canonical unity in America — should throw our support and prayers behind the Assembly, and beg the Holy Spirit to guide its work, just as he guided the work of the Ecumenical Councils themselves. Because, make no mistake — this is the best chance we’ve ever had, or may likely have for many decades to come. May it be blessed by God. I believe you left one out: Ligonier. I believe that’s important because the evidence seems to indicate that a realization was dawning on the murderers of Ligonier that it wasn’t quite dead. In partiucular, the protocols of Chambesy seem to try to marginzalize the OCA without explicitely doing so, in face of the new dynamic and dynamism coming from that jurisdiction as of late. At present the EA has my prayers, but I’ll hold out on the support. Arcbb. Demetrios seems to be handling the matter well, far better than his colleague did the Latin American Assembly (raising questions about the implications of the fiasco there), but I’ll have to see where it goes, and where it is allowed to go. If it fails, I believe the OCA will become de facto the only platform remaining in the future. When I think of Ligonier, personally, I see it as just a part of the larger SCOBA effort. After all, Ligonier was just a single meeting, one event. It didn’t result in an organization of any kind, but was itself organized by SCOBA. Thus, I don’t see that it is fundamentally its own (sixth) attempt at unity. I can see the argument for including it on its own, but I chose not to. I don’t agree that the OCA is marginalized by the Chambesy protocols. The OCA bishops are full members of the Assembly, just like their counterparts in the other jurisdictions. Metropolitan Jonah has expressed his enthusiastic commitment to the whole process. Honestly, the OCA was never going to have the Greeks on board, and without the Greeks, you lack half of the Orthodox in America. Maybe some would be happy with that sort of “unity” (unity among all but the Greeks), but really, that’s not unity at all — just fewer jurisdictions. And not necessarily even that, since the OCA’s Romanian, Bulgarian, and Albanian jurisdictions all have non-OCA counterparts (as I said in the article). The OCA is not a realistic platform for unity. It was a great effort, but it’s just not going to happen that way. If the Episcopal Assembly fails, it will probably be a long time before we have another chance like it. The Albanian “counterpart” of the OCA consists of two parishes, whereas the OCA Albanian diocese is in fact the Mother Church of the Orthodox Church in Albania. The Romanian and Bulgarian (itself anomolous, as Sofia recognizes the autocephaly of the OCA) exarchates are based on a model, purely phyletistic, which is increasingly untenable. Hence in part the failure of the Romanian jurisdictions to unite, and the recent of appeal of Bucharest to ethnic solidarity is falling on deaf ears. As for the Greeks, that of course was the original problem. But times have changed. The OCA counts many Greeks in it, and many in the GOA openly support the OCA. I remember the shakeup in the GOA with Spyridon. The Phanar is not in control as it was with Arb. Iakovos’s departure. If the EA fails, it is going to develop into a show down between Constantinople and Moscow, with repurcusions here. And that won’t be short in coming. The OCA can’t be a full member when its signature isn’t on the accords (although a plurality of Churches recognize its autocephaly, the branches of the Greek Church being the only opposition), and the person whose job it seems to be the information point man on them seems to think the first two syllables of OCA is “so-called,” while emphasizing the allegedly “unanimity” of “all” the Churches. Met. Jonah has expressed enthusiasm about the opportunity, and has expressed confidence in Archb. Demetrios’ chairmanship. From the lessons of Ligonier and other things, I conclude that Arb. Demetrios isn’t the problem, and may try to be the cure. We’ll see. If the EA here has a debacle like the Latin American one, it won’t bode well. I pray that the EA is successful in adminstratively uniting the Orthodox churches in America — that is obviously long overdue. A key issue, however, is American autocephaly. As an American Orthodox Christian of Greek descent and a member of the OCA, I think the autocephaly of the American church has to be maintained. We cannot adminstratively unite and become some sort of united eparchy of the Ecumenical Patriarchate, for example. That would be silly and a step backward, in the opinion of many of us who favor American autocephaly. Is the OCA perfect? Of course not — most of us here are probably too familiar with the OCA’s problems over the past few years. But the Antiochians and Greeks have certainly had issues in dealing with mother churches overseas, and I don’t think that most of us in the OCA would be happy going back to that sort of model. I am curious how things will turn out, and I keep the EA in my prayers. However, dating back to the Russian mission to Alaska, the OCA’s roots in American Orthodoxy are deep and venerable and cannot be ignored, even if she is not the most numerous Orthodox church in the number of parishioners. And her efforts in establishing a local autocephalous church and dedicating her existence to spreading Orthodoxy locally here, among plain ol’ Americans and Canadians, is honorable and cannot (and should not) be ignored. In sum, I don’t see how any sort of meaningful administrative unity in America could happen if American autocephaly was not maintained. If autocephaly is sacrificed in the name of administrative unity, a lot of us in the OCA may opt out. Though if autocephaly were maintained, I can envision Metropolitan Jonah possibly acquiescing his seat as primate and giving it to Archbp Demetrios, though that is only speculation at this point. A blessed feast of Pentecost to all! It’s worth noting (and noting well) that unity of administration is a theological necessity, backed by our whole dogmatic and canonical tradition. Administrative independence (whether autonomy, autocephaly, etc.) is not. It may well be the best tool for the job, but autocephaly as such has no theological significance or necessity, not for America or anywhere. It was a historical pastoral development, not a part of the deposit of faith given to the Apostles. Respectfully, I must disagree: no canonical argument can be sustained for this proposition. The same canons which stress the one city-one bishop rule also stress the autonomy of the bishops and freedom from interference in his see on the one hand and the need to recognize the primate of the land, i.e. recogniztion of the local Holy Synod which administers the hierarchy, whether autonomous or autocephalous. “autocephaly as such has no theological significance or necessity”:if we believed that, we would still be in the submission to the Vatican forced at Florence. Of course, the problem is that an autocephalous Church already exists, and suppression of it would, by necessity, require serious aberrations of eccelsiology. Hence as such, autocephaly has both theological significance and necessity. As for the fallacy of it not being part of the deposit of Faith given to the Apostles, the Father judged differently. Consult canon VI of Ephesus. I for one, if the EA decides to corrupt ecclesiology to fit a phyletist and ultramontanist (perhaps a better term would be ultramarist) agenda, will be transferring from the Antiochian Archdiocese to the OCA. If all that were the case, then the Apostles and their successors were not Orthodox. Likewise, the five centuries of the Slavs being under distant Constantinople was not Orthodox, either. Aside from all that, however, you take it as a given that “an autocephalous Church already exists,” but this is precisely one of the points up for debate. You can certainly throw down your gauntlet for whichever side of the debate you like, but asserting that as if it were agreed-upon and all that need be done is follow proper canonical tradition is, to say the least, rather premature. It is one thing to be an OCA partisan, but it’s another entirely to project one view of the current state of affairs back onto all of Orthodox history and dogmatize what are essentially canonical matters. Autocephaly has no dogmatic status. It is part of our canonical tradition and, as such, subject to the duly appointed synodical authorities of the Church. It has been changed in the past, and it can be changed again. I fully agree with everything Fr. Andrew has said. Autocephaly and administrative unity are separate issues — related, perhaps, but still distinct. Anyone interested in the issue of autocephaly should be sure to read Fr. John Erickson’s essay on the subject in his book, The Challenge of Our Past (SVS Press). The Fathers, treating both in canon VIII of Ephesus, and with there mandating that every metropolitan have a copy of it as it “touched the liberties of us all” disagree: they explicitely joined the two at the hip. You can’t be united if others can encroach on your authority. “Autocephaly as we now understand it—a multi-diocesan church with a single primate whose affairs are utterly free from all outside administration—has” “always been a characteristic of Church life,” whether the highly centralized, tist fisted rule of Alexandria or the rather loose primacy that Antioch exercised over all the East. Canon VI of Nicea only codified what had been practice from the time the Apostles handed the Churches off to their successors the bishops. As far back as we can go, we find the episcopacy so organized. We do not find isolated bishopricks acting outside of a local synod, without one of their number standing out and above the rest. IIRC, Fr. Ericson points out that Cyprus was not given autocephaly at Ephesus. Rather, its claims of autocephaly were recognized. Hence, I don’t know what to do with the claim that “If all that were the case, then the Apostles and their successors were not Orthodox,” since all ecclesiastical history shows that “all that” was precisely the case. “That “an autocephalous Church already exists”…is precisely one of the points up for debate” only for those who want to debate it. Moscow conclusively refuted Constantinople’s objections on behalf of the Greek Church in 1970. That the Greek Church persists in denial about that means no more than it did when the Phanar refused to recognize the reconstitution of Alexandria’s Holy Synod, the restoration of an Antiochian to Antioch’s throne, Moscow’s refusal to follow at Florence, etc.etc.etc. As for the others who have not agree upon the autocephalous Church in America, Romania has issued its phyletist philosophy which can’t withstand canonical scrutiny (and certainly is not agreed on), Serbia’s jurisdiction came out of Russia’s here, and the OCA’s Albanian diocese is actually the Mother Church of the Orthodox Church of Albania. Everyone else, a plurality, is agreed upon the OCA’s autocephaly.Rather than premature, proper canonical procedure is long overdue. That’s not projecting the OCA’s history back onto all of Orthodox history: that following the precendent set by a dozen plus autocephalous local Orthodox Churches. As for autocephaly having no dogmatic status, our struggle against the Vatican’s ultramontanism demonstrates otherwise. As I’ve argued here numerous times before, with the consecration of St. Raphael by the Russian Archdiocese, if not before, per canon VIII of Ephesus the canonical status of North America was settled. As someone who grew up in the GOA, and of 100% Greek background, it’s always comical to see non Greeks backing what is essentially the EP’s point of view. Meanwhile, many Greeks, ones with experience with the GOA, want nothing to do with it, and/or support the OCA’s autocephaly. the examples abound. However, my much bigger point, which one would think would NOT have to be made on a board named “Orthodoxhistory” is this…in addition to the canonical proof that ISA offers, one needs ONLY to look at history to see what the true Orthodox tradition is with regard to autocephaly. And the history shows very clearly, over and over and over that ecclesial boundaries follow the secular ones. Thus, as the Slavs (that Fr. Damick is referring to) found themselves outside the boundaries of the Byzantine Empire in the Middle Ages (the Bulgar Kingdom, both Serbian kingdoms) the churches in those regions were likewise recognized as autocephalous. Likewise, the Empire of the Grand Comneni, Trebizond, was also recognized as autonomous following the establishment of that kingdom. So was Ravenna, in the West, by the way. The bottom line: This business of autocephaly is not nearly as EARTH SHATTERING as the EP and GOA supporters would have us believe. There has NEVER been a consistent process for achieving it (most of the national churches now in existence simply declared it…they did NOT ask for it). I almost had to laugh at Fr. Andrew’s example of the Slavic Churches remaining under C’nple for 500 years. Ever hear of the patriarchates of Ochrid, Trnovo, Pec? The first Bulgarian Kingdom was recognized as autocephalous in 924..that’s not 500 years after SS Cyril & Methodios…that’s barely 50! And the Russians remained nominally under C’nople until 1443, but got their way by bribing C’nople. the last reparations of Hagia Sophia were made with Russian gold. Local Churches are an ancient Orthodox tradition. Locally elected bishops, sitting in synod. If you want a universal bishop, presiding over large expanses of the planet, you are in the wrong church…because that is the Roman Catholic model. By the way, for the record, I think the Czech church has about 89 parishes…and is autocephalous. I wasn’t aware that the EP had taken a position on the definition of autocephaly. I also certainly have no intention of taking up a side in the tiresome anti-EP/pro-EP silliness that seems to come up so often. In any event, my point is not about whether there should be local churches, boundaries, etc. My point is that autocephaly is historically an elastic concept which has changed a good bit over the years. Its definition changes, as well as its inviolability. Several autocephalies have found themselves in the historical dustbin over the centuries; some have been suppressed and returned. You are right that I should have spoken more precisely regarding the Slavs. Some in Slavic lands remained under Constantinople for many hundreds of years, and no one considered it un-Orthodox. First, the modern nation-state is just that—modern. It’s only a relatively recent phenomenon. Second, there have been and continue to be a number of autocephalous churches which are multi-national in character. One need only think of the Churches of Constantinople, Alexandria, Antioch, Jerusalem, Russia, Serbia, Romania, and the Czech Lands and Slovaka—in short, the majority of modern Orthodox churches. All of those churches include lands situated in multiple sovereign states. Anyway, I’ll second Matthew’s endorsement of Fr. John Erickson’s essay. This is all hashed out in significant detail there, much better than I could manage. It’s really not stuff that’s being debated, except perhaps by those who aren’t aware of the data. In any event, no one here is arguing for papism, that the EP should be in control of everything, etc., etc. Please take that spat somewhere else. What then, is being argued? Met. Jonah, rightly I believe, pointed out that there are two schools on autocephaly and the diaspora being argued at the table. There is a third: that evinced by the recent appeal to Romanian dignity by the Holy Synod of Bucharest, basically a phyletist constitution of the Church. But as Met. Jonah pointed out, that is untenable, both by canon and reality. The Greek Church has not openly embraced it (indeed, estopped from doing so by its own Synod of 1872 against the Bulgarians), it has been openly rejected by Russia and others, and has not been articulated by any but Romania at present. The EP has taken on the role to champion the latter view (and I believe the EA are intended by the Greek Church only as a means to that end), which I oppose as twisting the canons and the Fathers (in particular, as the history of Constantinople’s own autocephaly can’t bear the scrutiny of the standards it is advocating) in a way similar to what Rome did to the same. That’s not anti-EP, its pro-canonical. This last Sunday by chance I happened again upon the original article. In this expanded edition he opens with the proposition (correct in many ways) that “the modern nation-state is just that—modern. It’s only a relatively recent phenomenon,” but, tracing it back to at least 1653, he shows that “autocephaly is historically an elastic concept which has changed a good bit over the years,” its change in the modern age coming to embody the 1653 point that “if a nation has established an independent state not subordinate to the Greek empire, and if the local Church gradually has become stronger, it may in time become self-governing in all respects,” “expressed more stridently in the nineteenth and earlier twentieth century, as the older sense of one Orthodox oikoumene gives way to modern ideas of nationalism and statism,” as Fr. John sums up. The example of Alexandria brings into relief the issue at hand: the relationship of Alexandria to the Greek Orthodox in the Union of South Africa differs from the relationship of the Phanar to the GOA in only two respects: the former is seperated by land while the latter is seperated by an ocean. And the fact that Africa, in fact bearing a similtude to the “Diaspora” as described for the EA, will not have an EA. Why? Because it has a Holy Synod, thanks, ironically to Pope Meletios (who saw no reason, it seems, to clear his extension of jurisdiction over “All of Africa” with his successor on the Ecumenical Throne). Except for its apostolic foundations and its antiquity, that Holy Synod differs not a jot from the history of the Holy Synod of the OCA. So you state your “point is that autocephaly is historically an elastic concept which has changed a good bit over the years. Its definition changes, as well as its inviolability. Several autocephalies have found themselves in the historical dustbin over the centuries; some have been suppressed and returned.” What that has to do with the reality of the OCA autocephaly I do not know. I believe that we disagree on the inviolability issue: I base myself on the example of Jerusalem. Indications (and in this I include the debacle in the Latin American EA) point that the Phanar would like the EA become the mechanism of consigning the OCA to the dustbin of hisotry. Met. Jonah, and his many, many supporters (in and, like myself, outside the OCA) are refusing to go. The fact that the OCA’s autocephaly is not recognized by all the Orthodox churches doesn’t mean a whole lot, does it? Many autocephalous churches went through a period of non-recognition before they became universally acknowledged — sometimes for hundreds of years. This really doesn’t bother many (if anyone) in the OCA, as far as I’m aware. The issue of whether the EP alone can grant autocephaly is a different issue altogether and has been addressed a lot already. There is obviously no universal consensus on this, but it seems that giving this prerogative to the EP alone is quasi-papal. I would think that autocephaly issues are best decided in a conciliar manner, like in a pan-Orthodox council, but we never have pan-Orthodox church councils. That being said, the EP cannot both recognize the OCA’s autocephaly, even if it wanted to, and maintain its current archdiocesan structure. If the EP did acknowledge that the OCA is autocephalous, then that would make its entire Greek Archidiocese in America illegitimate — that is, what reason would the EP have for keeping a huge American Greek Orthodox Archdiocese when there is already an autocephalous American church here? In order for the EP to maintain its GOAA and be consistent, it cannot acknowledge the OCA’s autocephaly. Happy Feast of Sts Constantine and Helen! For that matter, how the Moscow Patriarchate can recognize the OCA’s autocephaly and yet maintain many parishes in the US is quite beyond me. But we do not seem to live in times when the canons are followed too closely or when anyone agrees on what they’re supposed to mean. First, I don’t know what you mean about “please take that spat elsewhere”…i was simply pointing out the contrast between this idea of allegiance to far away patriarchates and Orthodox tradition. I’d think that’s obvious…perhaps not. I would take issue with these comments because of the bias they betray and which contributes, in my opinion, to many of the current problems. To begin, let me go back to your first comment about “historical witness,” because I think it’s an important one…and one which Orthodox Christians in America may have the toughest time understanding. To those of us growing up in America, in our ethnic “Orthodox ghettoes,” it may be hard to understand…given our hyphenated-American orientation (ie Greek-American, Arab-American, Russian-American etc). The Church of the first 15 centuries was simply not organized this way. Territorial boundaries were the norm…from which we get the ancient (original) patriarchates Rome, Antioch, Alexandria – being the regional capitals of the empires and capitals of dioceses…followed later by C’nople and Jerusalem (really more of an honorific). As a matter of fact, it is quite obvious from the early writings that the empire saw the synergy between the strategoi (military governor) of those regions, and the bishop/patriarch as a stabilizing factor. In any case, the point is, these patriarchates were established upon a geographic territory which coincided with the secular boundaries. The fact that they were multicultural (or not) was irrelevant. The entire empire was multicultural par excellence (very similar to the USA today by the way). Later, as I’m sure you know, the boundaries of those original Sees were adjusted to reflect political realities of the secular boundaries, Illyria and Greece being transferred to the East (conforming with the boundaries of the Eastern Empire), Armenia/Georgia becoming Catholicoi (ie outside the empire). Still later, as the Slavic kingdoms arose, and were outside the empire, those nations were granted autocephaly..as were Trebizond and Ravenna as mentioned above. Most interesting to me – and instructive I think – as the Ottomans conquered the Balkans, those autocephalous areas were forcibly re-incorporated back into the EP (which then attempted a Hellenization of the regions interestingly)…until the independence of those regions in the 19th century. The letters from those Greek prelates, assigned to the Bulgarian/Serbian dioceses make for fascinating reading…it was sheer racism…see Obolensky’s Book “The Byzantine Commonwealth”. The establishment of the various Balkan churches of course followed their final independence from the Ottomans. All of the above are examples of ecclesial boundaries following the secular ones. So I am at a loss to understand the basis upon which you state, “The idea that autocephaly necessarily must match sovereign national boundaries does not square with the historical witness for two reasons…” The opposite would seem to be the case. BTW, for more information I would refer you to an essay presented at the International Congress of Canon Law, Budapest, 2-7 September 2001, by Metropolitan Panteleimon entitled “Territorial Jurisdiction According to Orthodox Canon Law. The Phenomenon of Ethnophyletism in Recent Years”. While I would not agree with His Eminence’s conclusions, he lays out the territorial case convincingly. This is available online at Myriobiblos, Electronic Library of the Church of Greece. Please do not misunderstand any of my comments…I am not for innovating, Protestantizing, Anglicizing the ancient faith. I am, on the other hand, for re-discovering and returning to the original Orthodox practices, many of which I view to have been bastardized during the periods of Ottoman and then communist oppression of the last 500 years. Ironically, I believe many of these practices of the Church of the First 15 centuries, conciliarity, transparency, accountability. would be completely consistent with modern America. Let me be clear: Frankly, I think our Church Fathers were organizational geniuses. They setup a system which any American businessman instantly recognizes as a geographic franchise system. There were plenty of good reasons for this, all of which have to do with maintaining the integrity of the faith.. Local control, by locally elected bishops, leads to credibility, authority, consistent application of the canons, legitimacy etc….all issues which the jurisdictions are wrestling with in America. At the bottom of all of this – and probably many of the jurisdictional arguments in America and elsewhere – is a move AWAY from the concept of “locally elected bishops, sitting in synod.” Think of the problems adherence to this simple concept could have avoided – 1.) the dismissal of Abp Iakovos, 2.) the “election” of Abp Spyridon in the GOA, 3.) the “charter” issue in the GOA, 4.) the recent AOCA problems…just to name a very very few here in America alone. In sum, this whole idea of “globe straddling” patriarchates is really not an Orthodox one. Whether it is the pretentions of the EP, the claims of the Moscow patriarchate, or the recent comments by the Romanian patriarch – they are all ridiculous from an Orthodox governance point of view…historically there is NO basis for them – and we must not be bashful about saying so. To do so is not rebellious..it is being true to our Orthodox tradition. To me, the history argues emphatically for a couple of things 1.) The Local Church is clearly the foundation of Orthodox governance….not allegiance to some far away patriarchate – “locally elected bishops, sitting in synod” is the norm, 2.) as stated above, ecclesial boundaries following the secular ones and 3.) ethnicity is NOT a factor in determining the boundaries of the local churches…like it or not, secular boundaries are the basis of the ecclesial ones. BTW – the history also argues conclusively, in my opinion, a much more dynamic (ie changing or flexible) approach to those same ecclesial boundaries than we have been taught to believe was possible – or than you seem to be comfortable with. Although we may all have issues with Met. Philip, one of the accurate statements he ever made was “Orthodoxy was not meant to be fossilized in the 10th century.” As a Byzantine, i.e. a Greek from Asia Minor, I always took offense to that statement, since the 10th century Byzantines were significantly more flexible than the current patriarchates are. I hope this (at times incoherent) tome helped to at least explain the point of view. PS I’m very familiar with John’s essay…he is a good friend and I’m jealous of his current residence. Dean, I’m honestly not sure that you’re understanding what I’m saying. I’m also not sure how to articulate it better. For the record, and for your own context: I am personally in favor of a single, administratively united Orthodox church in the United States, organized along purely geographic lines, which is administratively independent. I believe that this is consistent with our whole theological and canonical tradition. What I am attempting to convey is that unity and geography are necessary elements (i.e., that there should be no overlapping bishoprics), but national independence is not (i.e., that every nation-state should have its own church). If independence along sovereign national boundaries were a necessary element in our canonical tradition, then as soon as the Church moves into a new nation-state, there would have to be immediate autocephaly. That in pretty much every case in history there is not an immediate emergence of autocephaly indicates that it is not a necessary ecclesiological condition. If it were, then we must assume that most of our missionary saints were, in fact, heretics, because they answered to “foreign” hierarchies. It also means that the MP is heretical for claiming Ukraine, Estonia, Latvia, Lithuania, Belarus, Kazakhstan, Turkmenistan, China, Korea, and Japan as its territory; the EP for claiming parts of Greece; Antioch for claiming Lebanon, Syria, Iran, Iraq, Kuwait (just which of those states is it supposed to be sticking to? ); Jerusalem for claiming Jordan, etc., etc., ad nauseam. And these aren’t even the “diaspora”! You seem to believe that making this historical observation constitutes a bias in favor of papism/ultramontanism centered in Constantinople. Nothing could be further from the truth. You also seem to believe that making this observation constitutes favoring the unlimited territorial claims currently being made either explicitly or implicitly by all of the churches which are operating outside their traditional canonical territory—Constantinople, Antioch, Jerusalem, Moscow, Serbia, Romania, Bulgaria, Poland and even the OCA (which has parishes in Mexico and Australia(!)). Again, nothing could be further from the truth. Now having, I hope, put to bed your sneaking suspicion that I am an Ultramontanist spy for the Phanar, I will restate: Autocephaly as it is now conceived is a historical-canonical development, not a part of our dogmatic tradition from the Apostles. All I mean by that is what’s in Fr. John Erickson’s essay. Isa, I find it somewhat amazing that you are not in the OCA already. You obviously believe that the OCA is a fully legitimate autocephalous Church, and that the other jurisdictions are uncanonically encroaching upon its territory. How, then, can you justify communing in one of those “uncanonical” parishes? How can you even consider the Antiochians, Greeks, and even ROCOR to be Orthodox, since they do not recognize the territorial exclusivity of the OCA? Shouldn’t your position be “OCA only”? Gregg, the most recent Chambesy decision deals with how autocephaly may be granted, and calls for neither unilateralism on the part of the Mother Church or on the part of the Ecumenical Patriarchate. Consistent with the principal of consensus, or conciliarity, all the existing autocephalous Churches should have a say in whether a new one joins their ranks. Otherwise, I would argue that you open the door to ecclesiastical anarchy. As I have said elsewhere, if the other Churches have no say, and the “OCA principle” is applied universally, what prevents Antioch from granting autocephaly to the Archdiocese of Beirut, and the Archdiocese of Mount Lebanon, and the Archdiocese of Baalbek? What prevents Moscow from creating autocephalous Churches of St. Petersburg and Kazan and so forth? They could, then, out-vote the other Orthodox Churches at pan-Orthodox councils (but of course the other Churches could do the same thing). It just makes sense, and is consistent with the spirit of the canons, that the existing Churches should have a say when a new Church is granted autocephaly. Otherwise — and this is not a rhetorical question, but a sincere one — how is the principle of conciliarity maintained, and how is ecclesiastical anarchy (such as my example above) avoided? I agree with you completely. I’ve never understood why there are 25 or 30 (?) or so Russian Patriarchal parishes in the USA when the Moscow Patriarchate recognizes the OCA’s autocephaly. It makes no sense to me. I can understand maybe one “representation church,” but that’s it. I’ve never met anyone who has had an explanation for the existence of the many Russian patriarchal parishes in America. For ROCOR parishes, I do understand (since they historically did not consider the OCA legitimate. The EP’s position with respect to the OCA is at least consistent with it maintaining its own large archdiocese in America. The MP’s position of recognizing the OCA’s autocephaly yet also maintaining its own collection of American churches makes no sense. If anyone can explain this, it would be appreciated. Of course, the Tomos of Autocephaly includes the Patriarchal Parishes as part of its terms, and as such do not have much canonical challenge, like stavropagal institutions or metochia. The terms specify that they may remain with Moscow, but envision them joining the OCA (and they are barred from canonical release to any body but the OCA). It is not a unique situation (Crete and the New Lands between CoG and Constantinople; the Serbian diocese of Timisoara in Romania, etc. ), althought the commemoration both Patriarch Kyril and Met. Jonah in the patriarchal parishes may be unique (and intended to reaffirm the Tomos). Such a device I think should be applied (to facilitate and releave pressure in) autocephaly of Ukraine (as a Patriarchate). The GOA is in a different situation, as its founding as an archdiocese was done in oppostion to the OCA (though it incorporated elements, e.g. the original Greek parishes of SF, Chicago, Seattle, New Orleans, etc. that were not so founded). Hence the more damaging implications of recognizing the OCA’s autocephaly. If the two joined, however, the issue would be mooted. At the time of the Tomos, the trauma of the Bolshevik Revolution was still fresh, prolonged by lengthy legal battles: St. Nicholas Cathedral, for instance, switched hands several times and only ended with Moscow in the 50’s, when the US Supreme Court handed it over by striking the New York laws passed in favor of the Metropolia/OCA. So you had those fresh wounds from “taking sides,” in particular perhaps among those who saw themselves as preserving loyalty to Moscow during the McCarthy era (the NY laws were passed against such loyalty). On top of that, you had the dynamic of ROCOR relocating to the US, and trying to draw the Metropolia and the Patriarchal parishes in its orbit, and seen by Moscow as an uncanonical organization. It would seem that the terms of the Tomos were made to act as transition, with ultimate integration (in their good time) into the OCA. Some did join the OCA, some jumped ship for ROCOR. I wonder if the designers of the Tomos thought the Patriarchal parishes would last 40 years as an institution. It would be nice if they created a Russian diocese like the OCA has for the Albanians and Romanians. Btw, similar concerns were at play with the integration of the Old Calendar Greeks and Athonite Churches/Monasteries into GOA. Such concerns, in contrast, played no part in the formation of the Jerusalemite/Jordanian/Palestinian vicarate here. Come on, Isa. 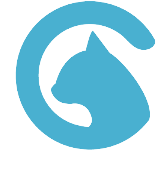 If it’s uncanonical, it’s uncanonical. Saying “pastoral concerns” is giving a pass for your team that I rather doubt you’d be willing to give to the others. (And are those concerns still relevant 40 years later?) You can’t expect absolute canonical strictness from everyone else and not from your own favored bunch. The truth is that pastoral concerns in attempting to come to grips with an overwhelming flood of immigration are what ruled the foundations of Orthodoxy in America as we now have it. It’s all quite messy and uncanonical. Finally! I got on! Sorry for my tech-ignorance. Anyway, here goes: Dean and Isa’s arguments make the most sense. There comes a time for clarity in a debate and it seems that they’ve really articulated it. Fr Andrew, if you are in favor (as you say) of a “single, administratively united…church organized along geographical lines,” then why not recognize +Jonah as the best vehicle for this to transpire? George writes: Fr Andrew, if you are in favor (as you say) of a “single, administratively united…church organized along geographical lines,” then why not recognize +Jonah as the best vehicle for this to transpire? Because this site isn’t about what I’m in favor of or which partisan position one should take (I said what I did to provide context for my historical observations). It’s about discussing Orthodox Church history. Please make sure you keep your comments on-topic, or else they won’t make it through moderation. Matthew, relegating Ligonier to “a single event” is missing the mark completely in my humble opinion. The Pentecost was “a single event” as well, yet those three thousand people that were brought into the faith that day eventually stood down the Roman Empire. “As now conceived” may be correct, but then the same could be said the hierarchy in general. You are correct on your first point: that would be like leaving babes out to exposure. But there comes a time when treating a child as a child becomes obscene: as we say in Egypt “raise you son and then treat him as a brother.” Of course, “Honor your Father and your Mother” still applies (our priest in fact says the commandment is really for adults, as parents are usually able to extract respect from their minor children, power of the purse (;)). Autocephaly is a constitutent part of Apostolic ecclesiology, hence the coniciliar nature and the circle of Apostles on the icon of Pentacost. How that is exercised differs as the needs differ. I would prefer, for instance, an autocephalous Church for Canada, another for the US, and another for Mexico/Latin America. I don’t think that is sustainable, though. However, an autocephalous Church of North America is. Next week over 60 bishops will meet. Other than Russia or Greece, that is comparable or far more than the Holy Synod of any other autocephalous Church. That alone distinguishes the North American EA from all others. But another is the fact of an autocephalous member. Whether political independence determines ecclesiastical independence is moot: one already exists here. The Chambesy protocols call for an executive committee composed of the primates of every jurisdiction. As of yet, according to those close to Met. Jonah, he has not been officially invited to sit on it, nor informed of its formation. Such things, reminiscent of the Polish bishops in LA, does not bode well. I”m on Antioch’s team here, and my home team is Alexandria. I’ve never been to Russia, one of the few Orthodox Churches I have never been to (Georgia, Cyprus and Albania are the others). I gave an example for the GOA. I don’t think so, but then I’m not involved. If that were true, I would have signed up with Alexandria here, before the jurisdiction was closed. We were talking about 1970, not 1900. At the time of the Tomos, immigration among the Russian Orthodox was negligible. It was dealing with trying to put the pieces together, starting with what was easy. And even that was hard. The beginnings of autocephaly usually are. At least in the case of the OCA it resembled driving the kid to college and getting them set up. Usually it is like trying to locate a run a away teenager. I’m not sure how that can be supported by history, except for Churches which break off from their Mother Church, in which case it would be a case of appeal over the head of the Mother Church. Autocephlous Churches have ever been interested in aggrandizement. I can’t think of a single example of one breaking itself up, except for Russia and the OCA and perhaps Ohrid and Serbia. Romania was formed out of at least five jurisdictions and Serbia formed about as many. That answers your question “what prevents Antioch from granting autocephaly to the Archdiocese of Beirut, and the Archdiocese of Mount Lebanon, and the Archdiocese of Baalbek?” There was talk, which went nowhere, of that when Lebanon gained its independence. Nothing, to judge from the history of Ecumenical Councils or Pan-Orthodox ones, would be gained from applying the “OCA principle,” as they do not operate like the US Senate. What would invite chaos would be, for instance, giving Cyprus veto power over Ukraine’s autocephaly. “How is the principle of conciliarity maintained, and how is ecclesiastical anarchy…avoided?” According to the principle of Apostolic Canon34: an autocephalous Holy Synod can determine for itself whether to divide itself. Treating Moscow as if it speaks for the OCA, when Moscow and the OCA are agreed that it does not, makes little sense. Only in cases of the Metropolia declaring autonomy/autocephaly or ROCOR claiming to be the Russian Church in exile and Moscow illegitimate would/should the other Churches think of invoking conciliarity. As it was, the Moscow Patriarchate solved both situations as an internal affair. I victim of circumstances beyond my control. Since circumstances have changed somewhat, depending on what happens in the EA and Met. Jonah apprisal of it, I’ll reassess. Yes, THE legitimate autocephalous Church of North America. Since all four of the OCA’s primates and their Holy Synods have not taken that position, I cannot see how I would be justified, at least at present, to do so. They make the decisions of economia or akrevia, not I.